• Rocks from the AGC came from distinct sources throughout their >1 Ga history. • AGC rocks from 4.02 to 3.4 Ga have homogeneous positive μ182W of +10 ppm. • >3.75 Ga rocks were formed by melting of Hadean mafic crust at low pressure. Journal of Geophysical Research, 123, doi:10.1002/2017JE005393. Journal of Geophysical Research: Planets, 123, doi:10.1002/2017JE005333. • H isotopes in apatite from Archean rocks have been investigated for the first time. • δD of apatite from Isua have been overprinted during its long geologic history. • δD of Isua apatite do not indicate the origin of volatiles on the Early Earth. • A new approach identifies direction subsets in paleomagnetic conglomerate test data. • Spherical contouring/cluster analysis can detect overprints in high dispersion data. • Applied to Jack Hills (JH) cobbles, there is no evidence for a 1 Ga remagnetization. • An intermediate temperature ∼2.6 Ga metamorphic overprint is identified in JH cobbles. • Petrographic analysis correlates quartz textures to µm-scale SIMS δ18O(Qz) data. • New petrogenetic information for the Strelley Pool Formation cherts. “The significance of oxygen isotope ratios in Archean chert has long been debated. Cherts from the c. 3.4 Ga Strelley Pool Formation (SPF) (Pilbara Craton, Western Australia) host some of the oldest stromatolite and microfossil evidence for life, but the genesis and timing of silica cements has been unclear. Field relations, petrography and a combination of laser fluorination and in-situ SIMS measurements of δ18O in quartz show that bedded cherts of the SPF were originally precipitated as carbonates and were later widely replaced by quartz. Three localities were studied and analyzed for δ18O(Qz) in chert: 1) Camel Creek: foliated, metamorphosed, bedded cherts and meter-scale black chert veins; 2) Unconformity Ridge and ABDP8 drill core: stromatolitic and bedded chert overlying basal detrital quartz sandstone; and 3) the Trendall locality: “bedded” stromatolitic chert replacing original dolomite, low temperature hydrothermal quartz, and mm- to decimeter-scale chert-quartz veins. Laser fluorination (mm-scale) values of δ18O(Qz) range from: 14.2 to 18.2‰ VSMOW at Camel Creek; 9.3 to 18.9‰ at Unconformity Ridge; and 13.7 to 25.7‰ at Trendall. Values of δ18O(Qz) in cm to decimeter-scale hydrothermal chert veins cutting bedded carbonates at Trendall range from ca. 15 to 16‰, whereas “bedded cherts” are 17 to 26‰. These laser data include the highest δ18O values reported for cherts in Paleoarchean sediments and are up to 4‰ higher than the upper limit of ∼22‰ reported in other studies, in apparent contrast to the long-standing secular-temporal trend which shows such high δ18O only in younger chert. However, analysis by laser fluorination at the 1-mm scale cannot resolve microtextures seen petrographically. In contrast, in-situ SIMS analyses can resolve petrographic microtextures and show δ18O(Qz) at 10-μm scale have an even greater range of 7 to 31‰ in “bedded” cherts at the Trendall locality, up to 9‰ above the secular-temporal trend. Textures observed optically at the Trendall locality were classified as: microquartz, mesoquartz, chalcedony, megaquartz veins, and cavity megaquartz. SEM-CL imaging shows two generations of meso- and megaquartz; bright CL with well-developed growth zoning, and dark CL with massive or mottled texture. Microquartz is the earliest textural generation of quartz and has a maximum δ18O(Qz) of ∼ 22‰ by SIMS. Dark-CL mesoquartz has similar δ18O to microquartz and is interpreted to also be early. Bright CL mesoquartz, which formed post-Archean, has even higher δ18O, up to 29‰. Vein megaquartz crosscuts most quartz generations and has a restricted range of δ18O, mostly from 16 to 19‰. Chalcedony pseudomorphs rhombic cavities and fractures, lines the edges of veins, and has similar δ18O to veins (16 to 19‰). Late cavity megaquartz is bright and zoned by CL, grows into late open cavities, and has the highest δ18O(Qz) values reported from the Pilbara, up to 31.3‰. Thus, the highest-δ18O quartz cements at the Trendall locality are the youngest and may be related to weathering. Early silicification and the formation of microquartz, chalcedony and low δ18O mesoquartz occurred during low temperature hydrothermal activity in the Archean. None of the SPF quartz examined is interpreted to have formed as a direct precipitate from Paleoarchean seawater. Thus, values of δ18O(Qz) do not record either water chemistry or temperature of Archean oceans. In-situ SIMS analysis shows that high-δ18O(Qz) values above 22‰ are only found in late-forming cavity megaquartz and high δ18O mesoquartz at the Trendall locality. • Zircon has partially dissociated in impact melt rock from a Canadian impact crater. • Former presence of cubic ZrO2 is crystallographically encoded in reaction rims. • Cubic zirconia required >2370 °C melt, which is hottest recorded on Earth’s surface. • Such superheated melt susceptible to devolatilization resulting in dry rigid crust. • We present new Hf and Nd data from the Mount Edgar Dome, East Pilbara Terrane. • These chart the Palaeo-Mesoarchaean magmatic evolution of a single granite complex. • Reworking of existing TTG crust dominated late Palaeoarchaean magmatism. • This trend supports a vertical tectonic geodynamic regime >3.2 Ga for the Pilbara. • Lenticular forms (Kromberg Fm) of S. Africa are bona fide ∼ 3.4 Ga microfossils. • They are related to ∼3.4 to 3.0 Ga lenticular forms in the Pilbara of Australia. • All represent organisms that were robust, and likely autotrophic and planktonic. • Their success may be due, in part, to their robustness and planktonic habit. • Results support the concept that autotrophy developed early on the young Earth. 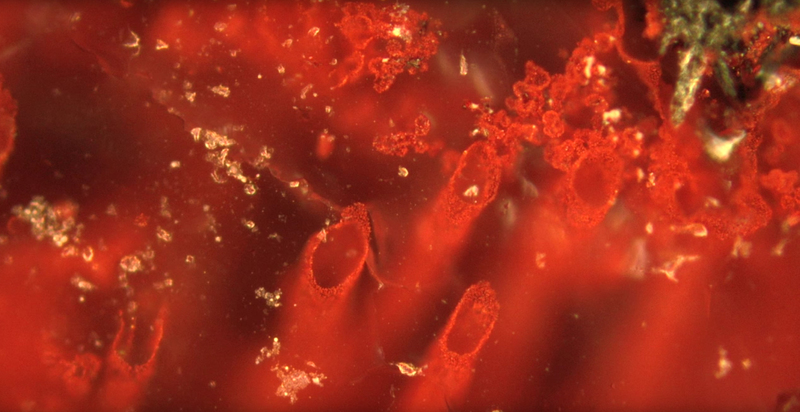 “In recent years, remarkable organic microfossils have been reported from Archean deposits in the Pilbara craton of Australia. The structures are set apart from other ancient microfossils by their complex lenticular morphology combined with their large size and robust, unusually thick walls. Potentially similar forms were reported in 1992 from the ∼ 3.4 Ga Kromberg Formation (KF) of the Kaapvaal craton, South Africa, but their origin has remained uncertain. Here we report the first determination of in situ carbon isotopic composition (δ13C) of the lenticular structures in the KF (obtained with Secondary Ion Mass Spectrometry [SIMS]) as well as the first comparison of these structures to those from the Pilbara, using morphological, isotopic, and sedimentological criteria. • The c. 3020 Ma Cleaverville Formation is the oldest unit correlated across the Pilbara Craton. • However, the formation in the eastern part of the craton was deposited at c. 3105 Ma. • The Cleaverville Formation is not a chronostratigraphic marker. • HSE and 182W give mutually consistent estimate of late veneer proportion in Isua source. • The >3.7 Ga Isua source contains around 55–60% of Earth’s full late veneer. • Late veneer component in Moon < Isua source < bulk silicate Earth. “The higher-than-expected concentrations of highly siderophile elements (HSE) in Earth’s mantle most likely indicate that Earth received a small amount of late accreted mass after core formation had ceased, known as the ‘late veneer’. Small 182W excesses in the Moon and in some Archaean rocks – such as the source of 3.8 billion-year-old Isua magmatics – also appear consistent with the late veneer hypothesis, with a lower proportion received. However, 182W anomalies can also relate to other processes, including early mantle differentiation. To better assess the origin of these W isotope anomalies – and specifically whether they relate to the late veneer – we have determined the HSE abundances and 182W compositions of a suite of mafic to ultramafic rocks from Isua, from which we estimate HSE abundances in the source mantle and ultimately constrain the 182W composition of the pre-late veneer mantle. “Banded iron formations (BIFs) contain appreciable amounts of ferric iron (Fe3+). The mechanism by which ferrous iron (Fe2+) was oxidized into Fe3+ in an atmosphere that was globally anoxic is highly debated. Of the three scenarios that have been proposed to explain BIF formation, photo-oxidation by UV photons is the only one that does not involve life (the other two are oxidation by O2 produced by photosynthesis, and anoxygenic photosynthesis whereby Fe2+ is directly used as electron donor in place of water). We experimentally investigated iron and oxygen isotope fractionation imparted by iron photo-oxidation at a pH of 7.3. The iron isotope fractionation between precipitated Fe3+-bearing lepidocrocite and dissolved Fe2+ follows a Rayleigh distillation with an instantaneous 56Fe/54Fe fractionation factor of +1.2‰+1.2‰. Such enrichment in the heavy isotopes of iron is consistent with the values measured in BIFs. We also investigated the nature of the mass-fractionation law that governs iron isotope fractionation in the photo-oxidation experiments (i.e., the slope of the δ56Fe–δ57Fe relationship). The experimental run products follow a mass-dependent law corresponding to the high-T equilibrium limit. The fact that a ∼3.8 Gyr old BIF sample (IF-G) from Isua (Greenland) falls on the same fractionation line confirms that iron photo-oxidation in the surface layers of the oceans was a viable pathway to BIF formation in the Archean, when the atmosphere was largely transparent to UV photons. Our experiments allow us to estimate the quantum yield of the photo-oxidation process (∼0.07 iron atom oxidized per photon absorbed). This yield is used to model iron oxidation on early Mars. As the photo-oxidation proceeds, the aqueous medium becomes more acidic, which slows down the reaction by changing the speciation of iron to species that are less efficient at absorbing UV-photons. Iron photo-oxidation in centimeter to meter-deep water ponds would take months to years to complete. Oxidation by O2 in acidic conditions would be slower. Iron photo-oxidation is thus likely responsible for the formation of jarosite–hematite deposits on Mars, provided that shallow standing water bodies could persist for extended periods of time. • Minor mafic rocks distributed over the Acasta Gneiss Complex were examined in detail. • Major petrochemical varieties due to anatexis followed by amphibolite metamorphism. • The least-modified rocks preserving basaltic magma compositions were identified. • The source mantle has chondritic incompatible element ratios, except for Nb and Ta. “The Acasta Gneiss Complex, located in the western part of the Slave Province, Canada, is widely recognized as the oldest Eoarchean terrane. In addition to felsic gneisses with the ages of 3.6-4.0 Ga, minor mafic rocks occur as rounded to elliptical enclaves and inclusions within the felsic gneisses. Despite serving as potential sources of geochemical information on the Hadean mantle, the mafic rocks have received less attention in previous studies. Thus, we conducted a comprehensive geological petrological and geochemical investigation on the Acasta mafic rocks to constrain their petrogenesis and geodynamic setting. 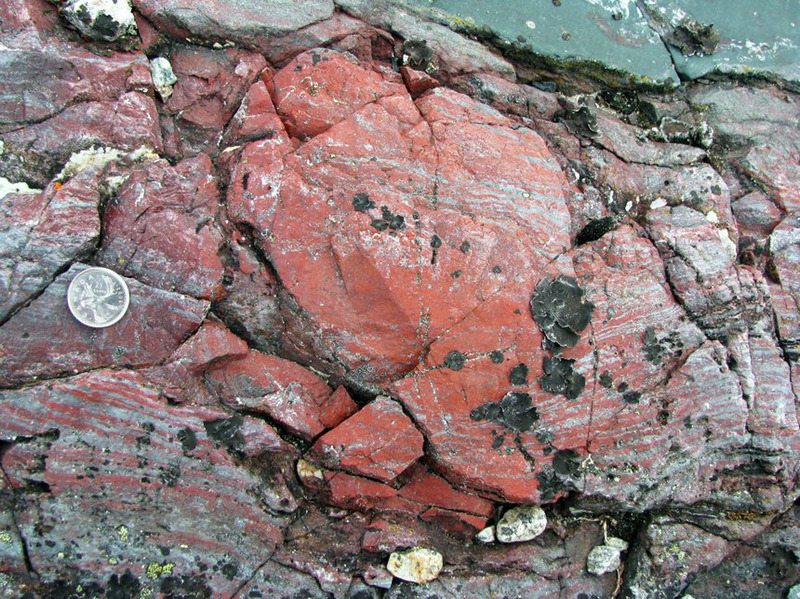 The mafic rocks comprise massive to weakly foliated amphibolite, garnet amphibolite and hornblendite, with variable abundances of hornblende, plagioclase, chlorite and quartz and subordinate clinopyroxene, garnet and cummingtonite. They commonly underwent high-grade metamorphic recrystallization under amphibolite to upper-amphibolite facies conditions. The observed variations in mineral assemblages, abundances and compositions reflect large differences in whole-rock compositions, likely caused by crustal anatexis during the Eoarchean thermal events responsible for the generation of the surrounding felsic gneisses. Infiltration or extraction of felsic melts formed due to partial melting of precursor rocks can account for an overall negative correlation between Al2O3 and MgO contents and variable enrichments in the incompatible elements. “Crust forming processes on the early Earth have long been debated and relatively few rock and mineral samples exist with which to evaluate many hotly contested themes. The Acasta Gneiss Complex contains rock units with crystallization ages exceeding 4.0 Ga, making them the oldest known evolved rock units in the world. However, the AGC has experienced a long and complex history with multiple periods of igneous intrusion, deformation and metamorphism. Indeed, previous workers have demonstrated that orthogneisses within the AGC have igneous ages ranging from ∼4.03 to ∼3.4 Ga. This large range in crystallization ages gives us the opportunity to investigate the evolution of Earth’s earliest known continental crust through a period of greater than 1 billion years. Here we present an updated geologic map of key areas within the Acasta Gneiss Complex in which we delineate units based upon age as well as composition. Whole-rock geochemistry, zircon LA-ICPMS U-Pb geochronology and SIMS O-isotope analyses from a large suite of samples indicate a significant change in mode of crust formation over 400 million years. These data document a gradual change from a shallow crustal processes generating basaltic to andesitic compositions at 4.02 Ga to deep-seated partial melting of hydrated basalt, represented by voluminous Archean TTG-like intrusions at 3.6 Ga. Details about how Earth formed are gleaned from the daughter products of certain short-lived radioactive isotopes found in rocks. Rizo et al. describe subtle tungsten isotope variations in rocks from the very deep mantle in Baffin Island and the Ontong Java Plateau (see the Perspective by Dahl). The results suggest that portions of Earth have remained unmixed since it formed. The unmixed deep mantle rocks also imply that Earth’s core formed from several large impact events. Evidence for carbon cycling or biologic activity can be derived from carbon isotopes, because a high 12C/13C ratio is characteristic of biogenic carbon due to the large isotopic fractionation associated with enzymatic carbon fixation. The earliest materials measured for carbon isotopes at 3.8 Ga are isotopically light, and thus potentially biogenic. Because Earth’s known rock record extends only to ∼4 Ga, earlier periods of history are accessible only through mineral grains deposited in later sediments. We report 12C/13C of graphite preserved in 4.1-Ga zircon. Its complete encasement in crack-free, undisturbed zircon demonstrates that it is not contamination from more recent geologic processes. Its 12C-rich isotopic signature may be evidence for the origin of life on Earth by 4.1 Ga.
Reconstruction of the image slices from the X-ray microscopy. Several fully enclosed inclusions are visible. We combine, for the first time to our knowledge, two approaches to study Earth’s core composition: a geochemical approach based on trace element depletion in the mantle and a geophysical approach based on a seismically lighter and faster (than pure iron−nickel) core. The joint approach allows making strong statements; first of all, as opposed to the current belief, Earth must have accreted material that is more oxidized than the present-day mantle, similar to that of planetesimals such as 4-Vesta, and got reduced to its present state during core formation. Secondly, core light-element concentrations in those conditions are 2.7% to 5% oxygen alongside 2% to 3.6% silicon; the oxygen concentrations in the core are higher than previously thought, and, conversely, silicon concentrations are lower than previous estimates. It currently is unknown when Earth’s dynamo magnetic field originated. Paleomagnetic studies indicate that a field with an intensity similar to that of the present day existed 3.5 billion years ago (Ga). 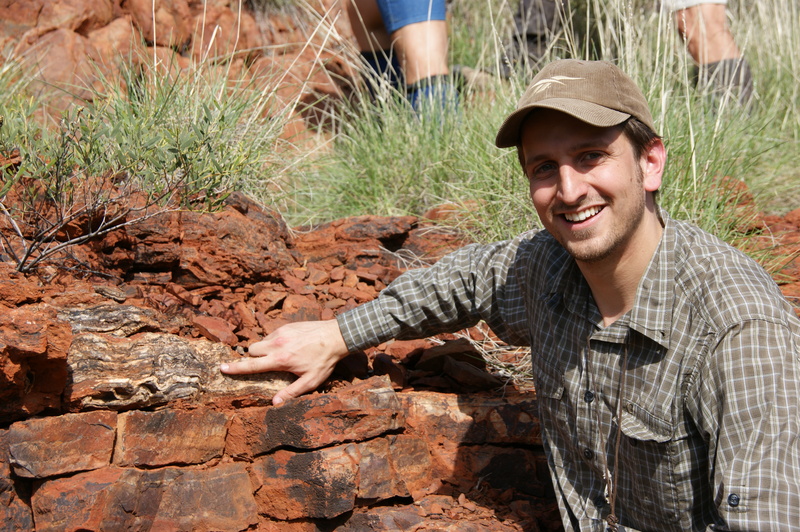 Detrital zircon crystals found in the Jack Hills of Western Australia are some of the very few samples known to substantially predate this time. With crystallization ages ranging from 3.0–4.38 Ga, these zircons might preserve a record of the missing first billion years of Earth’s magnetic field history. However, a key unknown is the age and origin of magnetization in the Jack Hills zircons. The identification of >3.9 Ga (i.e., Hadean) field records requires first establishing that the zircons have avoided remagnetization since being deposited in quartz-rich conglomerates at 2.65–3.05 Ga. To address this issue, we have conducted paleomagnetic conglomerate, baked contact, and fold tests in combination with U–Pb geochronology to establish the timing of the metamorphic and alteration events and the peak temperatures experienced by the zircon host rocks. These tests include the first conglomerate test directly on the Hadean-zircon bearing conglomerate at Erawandoo Hill. Although we observed little evidence for remagnetization by recent lightning strikes, we found that the Hadean zircon-bearing rocks and surrounding region have been pervasively remagnetized, with the final major overprinting likely due to thermal and/or aqueous effects from the emplacement of the Warakurna large igneous province at ∼1070 million years ago (Ma). Although localized regions of the Jack Hills might have escaped complete remagnetization, there currently is no robust evidence for pre-depositional (>3.0 Ga) magnetization in the Jack Hills detrital zircons. • No evidence for Hadean zircon host rock pervasive remagnetization at 1078–1070 Ma. • Large paleosecular variation recording is inconsistent with remagnetization. • All of Weiss et al. (2015)’s Jack Hills field tests failed or were inconclusive. • Hadean zircon host rocks likely pervasively remagnetized at 1078–1070 Ma.